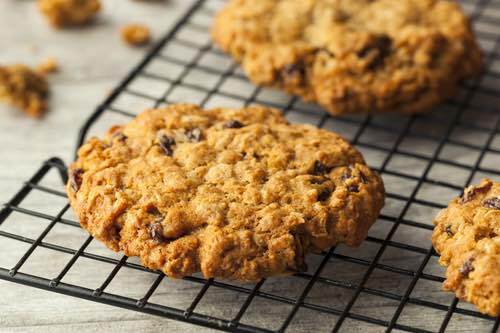 These old fashioned oatmeal raisin cookie recipes are some of the best ever published. Oatmeal and raisins go together perfectly in a cookie. 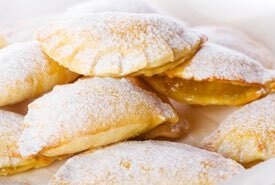 But, don't just take my word for it, bake some of these homemade cookies and see for yourself. These are the same recipes that Mom received from Grandma. 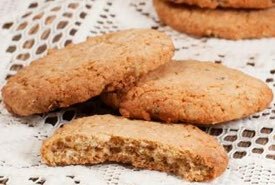 I enjoyed eating these chewy oatmeal cookies when I was a young, and I still love them today. I tend to like them best after they've been chilled or half-frozen in the freezer, but that might be my quirky taste. You can enjoy them anyway you want. Bake a batch and have fun seeing how you like to eat them. Mix well together a cup each of butter and sugar, seven tablespoonfuls of sweet milk, two cups of flour sifted with a teaspoonful of baking soda, two cups of dry oatmeal, a cup each of seeded raisins and chopped pecans or walnuts or peanuts. 1 cup flour, 1/2 cup shortening, 1/2 teaspoon baking soda, 2 tablespoons milk, 1/2 teaspoon salt, 1/2 cup brown sugar, 1/4 cup rolled oats, 1 cup seedless raisins, 1 tablespoon cinnamon spice, 1/4 teaspoon nutmeg. Mix dry ingredients and add shortening. Bake in moderate oven until done. Beat together until creamy, one egg, half cup sugar, third cup butter, third teaspoonful soda mixed with one cup sifted pastry flour, half teaspoonful each of salt and cinnamon, then add one cup rolled oatmeal, half cup each of shredded nuts and raisins.